Solid Surface is a non-porous material comprised of natural minerals and acrylic resins that can be fabricated with inconspicuous seams. With its renewable surface and integral sink options, solid surface offers a low maintenance solution that last for years. HI-MACS® brand solid surface offers beauty and flexibility with inconspicuous seams, non-porous design flexibility, and a hygienic, food safe finish. HI-MACS holds up under day-to-day wear and has a renewable surface should noticeable scratches occur. 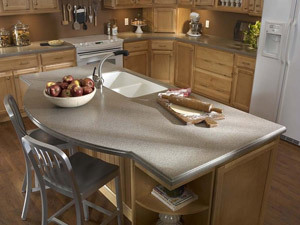 Corian® brand has been popular in the solid surface industry for more than 40 years. 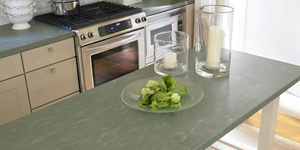 Corian surfaces are easy to care for and food certified. A diverse pallet of colors and designs offer expanded variety and functionality for any home or commercial project.